Before the GSM revolution in Nigeria, communication was a huge nightmare. The age-old cable telephone system in the country was as inefficient as it was costly. Except for those at the topmost stratum of the society, possession of a telephone line was largely a luxury. And it almost cost a fortune to get hooked up to the national trunk. However, the Federal Government took a bold step to break the monopoly of NITEL, which was in control of the industry. And so, the GSM came and the private network providers changed the face of things in the blink of an eye. Thanks to the great innovation, possession of a telephone has ceased to be a symbol status. Everybody is now communicating without tears. Today, Nigeria is one of the fastest growing telecom markets in the world. The tele-density too has grown beyond imagination. But one strange thing about this phenomenal innovation is that relatively little is known about the behind-the-scene actors who midwifed the process of auction of the sales of the licenses of operation to the various network providers. One of those unsung heroes of that revolution is Mr. Paul Usoro, a Senior Advocate of Nigeria (SAN). He took an adventure into advocacy on communication matters when the field was relatively unknown. Right from the outset of the negotiation of the deal, he provided the required legal advice for the liberalization of the sub-sector. “I think much of my life has simply been structured by God. He gave me the presence of mind to seize the moment. I set up my practice in 1985. Before then, when I finished my youth corps, I had joined a firm in Kaduna during which time I met a gentleman who happened to be a permanent secretary in the Federal Ministry of Communication. And we got to be very close and became more of family even till today. When I decided to set up my law practice, I mentioned it to him and he encouraged me. He said it would be a success because the people I was working for thought very highly on me. Interestingly, when Paul got admission to read English at the University of Ife (now Obafemi Awolowo University) in 1977, little did it occur to him that providence has a different plan. But for peer influence, he probably would have ended up in class as aPioneering a new field of knowledge could not have come easy. In any human endeavor, there is always this initial challenge of doing-it-alone. But he never allowed himself to be distracted. He saw a bright future in the profession and went all out to acquire the much needed tool, especially the semantics. 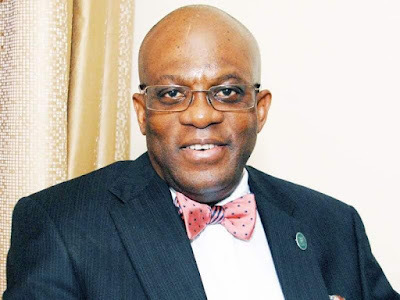 Recalling how he managed to overcome the initial challenges, Usoro recounts: “In terms of global context of practice, there were initial challenges. At that initial stage, you really could not have had the opportunity of mega-million naira paying assignments. Even if there were, they were not as frequent. Therefore, if I had focused only on that, perhaps I wouldn’t have been able to pay salaries or maintain myself. So, what I did was to focus on developing those skills I knew I needed for the profession. At the same time, I did not forget my primary role as a lawyer. So, I still went to court to do my advocacy as an advocate to those who believed very strongly in my advocacy. “In the same vein, there were also some who believed that I am a specialist in communication related matters only. In fact by the time I became a Senior Advocate of Nigeria (SAN), there were some people who were skeptical as to whether or not I go to court. On the other hand, some who knew me within the communication industry saw me as an advocate in the communication field. In other words, doing only core communication couldn’t have been sufficient to sustain me at the very initial stage. “The second challenge I had was to build myself and develop the necessary skills. And as I used to tell people, one of the things you have to do if you are going to be specialist in communication is to have good mastery of the language. You must speak the language; you must understand the linkages. If you do not understand, it will be very difficult for you to apply the law. For example, if you don’t understand the intricacies of the structure of lending, it will be difficult for you to prepare an agreement of lending document that would protect the parties you represent. You must understand the structure and how they want to do it. 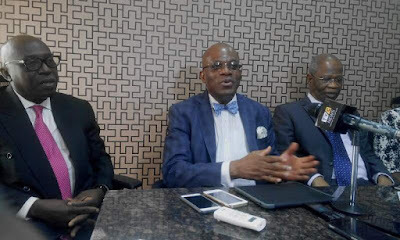 For the simple fact that Usoro was part of the process that gave birth to the successful operation of the GSM in Nigeria, at the snap of a finger he can narrate, blow-by-blow, how the hitherto dormant telecommunication industry was nurtured to become a competitive player in the ever-growing global market. He saw it all and understands the intricacies of the deals that culminated in the opening up of the once-constricted industry. Why was the operation fee paid to roll-out so expensive? His answer: “It is a very simple thing. You have a scare resource and you want to dispose of that scare resource. The fairest way you can dispose it off is to have people to bid so that each individual pays according to his appetite. That is the equivalent of putting your money where your mouth is. The logic is this: You want it so badly; then let’s see how much you can pay in the process. Those who don’t have the deep pocket to be able to pay will gradually fall out; until it gets to a stage where only those who can afford it and really want it as much pay for it. That is one aspect of it. If the person values it that high, definitely, he would want to do something to be able to actualize it. He is not going to allow it to go fallow because he needs a return of his investment. An English teacher or a lecturer at the tertiary level, depending on how far his luck could carry him. But unconsciously, he strayed into the law programme. This was how he came about that: “I believe I strayed into the profession. I had an admission to read English at the University of Ife in 1977. There were two of my friends – Dipo Kalejaiye, now in the U.S., and the late Anthony Opop – studying English with me. By the time we finished the first year, Dipo said we should change to law. Usoro however notes that one of the things that have been responsible for the growth in the communication industry is the stability of the regulatory agency, which is statutory. The credit still goes to Usoro, who practically single-handedly prepared the bill that was eventually passed into law by the National Assembly. 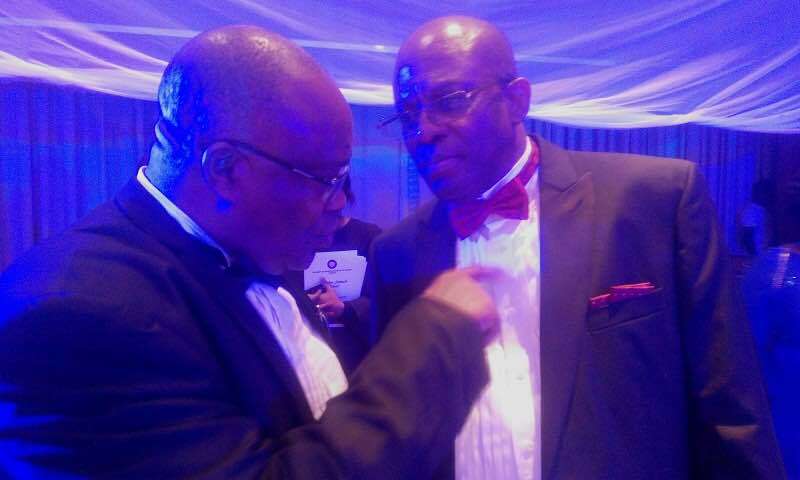 Usoro is an indigene of Ikot-Ekpene in Akwa-Ibom State and is married to Mfon, his childhood sweetheart, who is the star maritime lawyer of Paul Usoro & Co. They are richly blessed with children.